The paradise of the Alps - alpenparadiess Webseite! 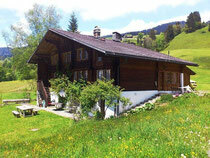 Fancy a holiday in a comfortable and quiet 3-room apartment in the Bernese Oberland? This independet, tastefully renovated chalet from the 18th century is situated on the sunniest location on 1100m asl and 500 m above the village center Goldern. From the house and on the seat you can look forward to a stunning, panoramic view of the angels- and weatherhorns! 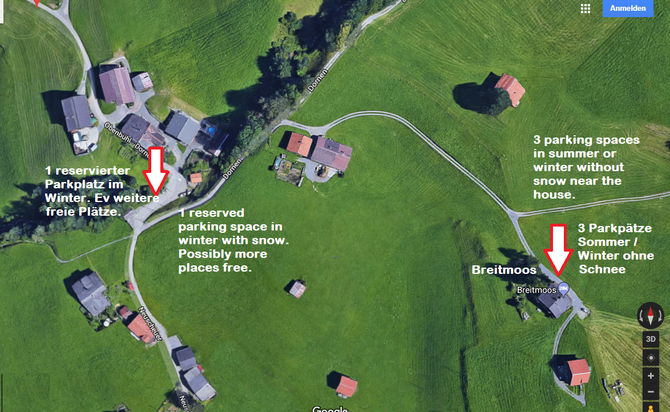 Located 800 metres from the Reuti - Bidmi Ski Area and 1.0 km from Wasserwendi-Lischen-Käserstatt, Breitmoos is a self-catering accommodation offering free WiFi access. The apartment features a seating area with a satellite TV, a fully equipped kitchen and a bathroom with a shower. Guests can dine in the Hääggenstübli restaurant 850 metres from Breitmoos or in the Gasthof Post restaurant 900 metres away. In addition, they can use barbecue facilities and relax on a terrace. Ski storage if provided. The Hasliberg Goldern Urseni Bus Stop is located 500 metres from the property and the Hasliberg Goldern Post Bus Stop is 800 metres away. Free parking is possible on site.